One of our best-selling silhouettes is back for the season. One of our best-selling silhouettes is back for the season. 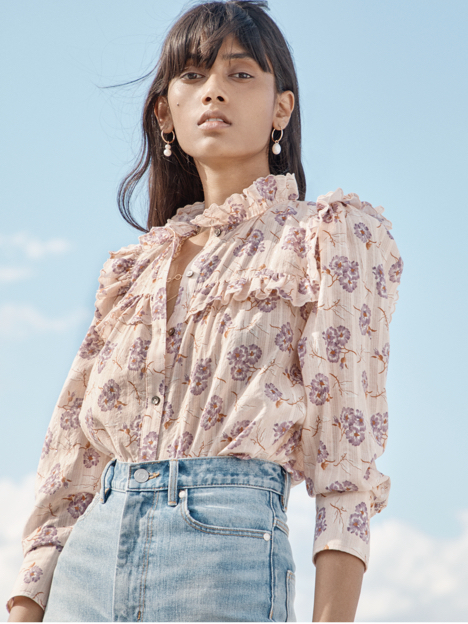 Cut from a dimensional hammered silk, this classic button-up silhouette is trimmed with gentle ruffles at the neckline and sleeves. Worn on its own or layered under a blazer, this top is an instant staple in any closet.